Newly-elected Turkish Prime Minister and former foreign minister Ahmet Davutoglu expressed his vision of restoring the Ottoman Empire, reports said. His support for the ISIS reflects his vision of transforming the Middle East into a united region of Islamists. According to reports, Davutoglu believes that restoration of the Ottoman Empire will increase Islamists' global power. With this vision in mind, he created a solid policy when he was the foreign minister to broaden Turkey's influence across the Middle East. This led Turkey to increase its international profile. However, experts believe that it also exposed itself to the crises in Iraq and Syria. Critics condemned Davutoglu of backing the Islamic militants who organized themselves as the brutal Islamic State. Since Davutoglu could not get Syrian President Bashar al-Assad to participate in reforms, Turkey supported ISIS, Bayram Balci of the Carnegie Endowment for International Peace said. Political scientist Behlul Ozkan described Davutoglu as "a pan-Islamist who uses Islam to achieve his foreign policy goals." Critics called on the attention of newly-elected Turkish president Recep Tayyip Erdogan for the rectification of the Turkish foreign policy. They also asked the leader to restore ties with United States and European Union and focus on realistic goals in the Middle East, citing Davutoglu's Ottoman Empire dreams. But the new president may not consider the suggestion. Citing his election victory, Erdogan's vision extends to the Muslims from Sarajevo to Islamabad, not just Turkey. It appears that the newly-elected Turkish leaders share a common goal. 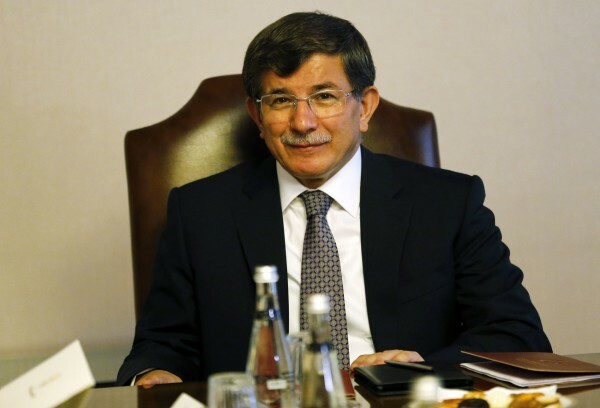 Even the outgoing president Abdullah Gul expressed favors on Davutoglu, reports said. Davutoglu is also widely popular among the Turkish citizens for his radical Islamist sentiments and nationalism. The Ottoman Empire was once among the most powerful states in the 15th to 16th century. The empire included most of southeastern Europe, Middle East North Africa.